A shopper who browses the home decor section of a retail store is likely to find cat wall art. Unfortunately, prints, paintings and fabric art can come with heavy price tags. For those feeling frugal and crafty, consider creating fabric cat art at home. Sequin fabric is a unique medium for fabric wall art. For this particular craft, use sequin fabric to express a love of cats and bring a little glitz and glamor into the home. 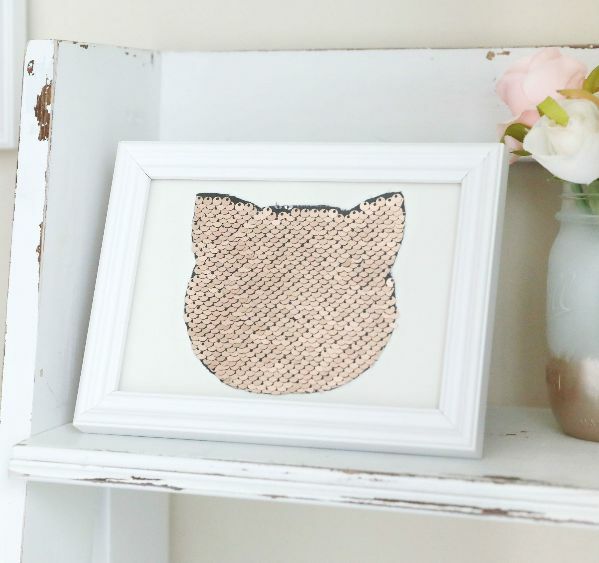 It shouldn't take more than 10 minutes to create this fabric cat wall art. 1. Remove the backing, border and paper insert from the photo frame but leave the glass in. 2. Place the cardboard backing of the frame on white card stock. 3. Trace the back of the frame on the card stock with a pencil. 4. Cut out the rectangular shape out of the card stock. 5. Grab the photo frame backing that was set aside in Step 1; flip it over to expose the inside of the backing. 6. Squeeze hot glue, in a rectangular shape, on the backing of the frame. 7. Place the card stock rectangle on the glue. Set the back of the frame aside and allow the glue to dry. 8. Draw the outline of a cat's head on cardboard with a black marker. 9. Cut the shape out of the cardboard. 10. 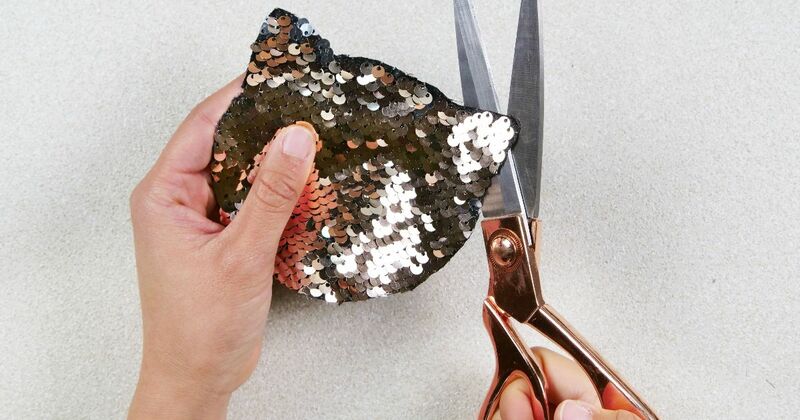 Flip over a piece of sequin fabric to reveal a solid color fabric. 11. Place the cardboard cat head pattern on the fabric. 12. Trace the pattern onto the fabric with a chalk marker. 13. Cut out the pattern from the sequin fabric. 14. Place the sequin cat on the center of the card stock. 15. Lift the edges of the fabric and squeeze a small amount of glue to the card stock; secure the bottom, sides and ears of the cat to the card stock. 15. Attach the backing of the frame to the front of the photo frame. The sequin cat should now be visible through the glass. 16. Hang the frame or place it on a table or shelf.